The Minutes from November 17, 2018 were approved. Guest speakers: Cpt. Deeba, Brightside, recycling update. Streets & Properties Committee will meet next week and have more up to date info to share at the next Board meeting. 6900 Pernod: Some updating is being done. 7081 Pernod: House was sold and lots of work is being done inside the house. Lindenwood Live: Tim is looking at bands and the concert committee will meet to make decisions. Greg will start contacting food trucks. Tweetup: January’s Tweetup will be held at Ari’s on January 22nd. Holiday Lighting Contest: Jorie Schuckman did a great job. Winners are: 6933 Lindenwood, 6344/6 Mardel and 6229 Juniata. Website: The calendar has been updated with all events. There is a small issue with volunteer opportunities on the application form. Greg has reported it to Darren and will follow up. Board members were asked to please sign up on lindenwoodpark.org/join to test the process. Park Building Cleaning: We will be looking for volunteers to help clean out the park building. Tentative dates are March 23rd or 30th. Green Team: Dates have been scheduled. Community Garden: The beds are currently hidden by snow. We have enough gardeners signed up for the new gardening season. Wabash Garden: Plants seem to be surviving under the snow. Emily has been sending notices about membership meetings to the churches. Bowling party: This is planned for February 19th from 6pm – 8pm. LPNA will pay for the food. Billboards: Emily looked into advertising on the billboard at Watson & Chippewa and the cost is $650/month. This may be beneficial for a once-off promotion for some of our events. Renewals: Lindsay has a list that he will divvy up and send out to Board members to follow up. All people on the list have received a letter and an email. 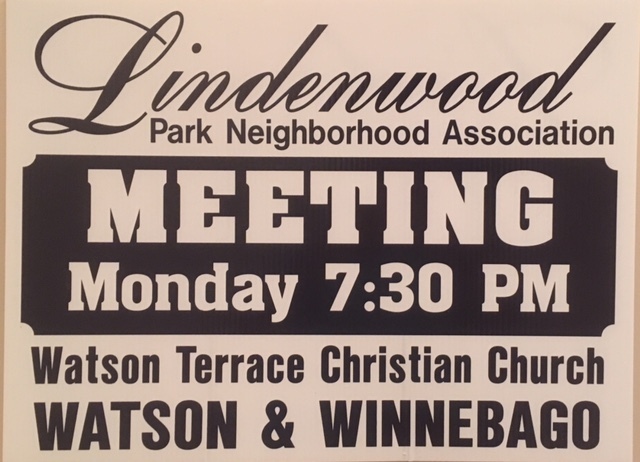 Mass Mailing: We are looking at sending out a letter to all residents of Lindenwood Park to invite them to join the association. Lindsay to have the letter drafted and emailed to the Board by February 15th. Welcome packs will need to be distributed. Need to add the 2019 calendar – if it’s not ready in time we will add the 2018 calendar. Nothing further to report on the scam. Insurance Renewal: Doug has completed this. Possibly revisit this next year to investigate rate costs. EZ Up tents: We have 32 tents available. 1 tent was destroyed by wind during Timothy Lutheran’s Christmas Market. Cody Bell – Lindsay made a motion to approve him as a Board member. Seconded by Lisa. Emily Yale – Lindsay made a motion to approve her as a Board member. Seconded by Greg. It was agreed that we would revisit voting on Mary Ann Rogers after she has been a member of the association for a year. 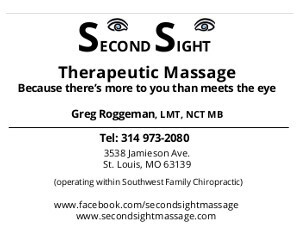 Pat will contact Cody and Emily and Lisa will set up Board orientation with them. Nancy Vordtriede is the new President of St. Louis Hills Neighborhood Association and she has voiced her concerns about crime at Target. Directories should be ready end February/early March. Committee heads please send Pat your write-up’s for your events. Conference is scheduled for Saturday February 2nd from 7.30am – 5pm. Cost is R35 admission. LPNA will reimburse admission fee to Board members wanting to attend. Flea Market: Will be on Saturday April 27th in Timothy Lutheran’s gym.